Now catching for the Mariners: Jack Hannahan? That is something you probably won’t hear this season at Safeco Field, or anywhere else for that matter, but the veteran infielder has added another position to his resume. He and backup first baseman Ryan Garko are being groomed as the Mariners’ potential emergency catcher during the regular season. 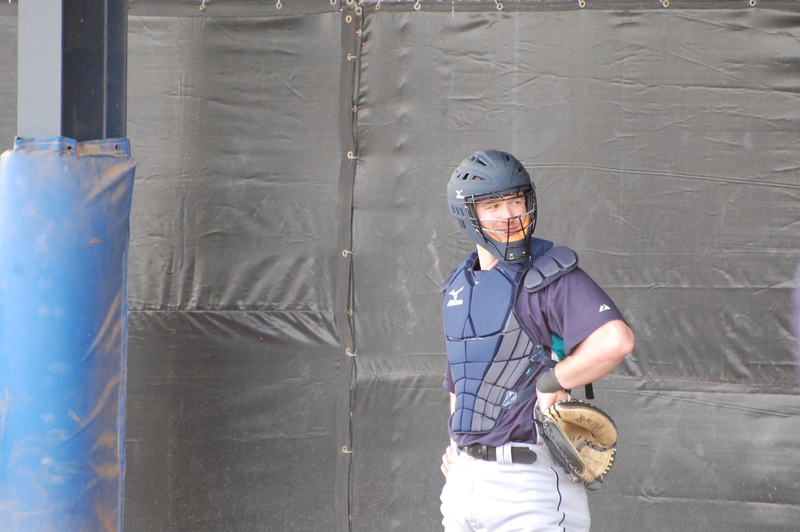 The soon-to-be 30-year-old Hannahan, whose birthday is March 4, was decked out in mask, chest protector and shin-guards on Sunday when the Mariners went through another rain-hampered workout at the Peoria Sports Complex. Manager Don Wakamatsu, a former catcher, said he decided late last season that it would be a good idea for Hannahan to get some work behind the plate – just in case. The 25-man Opening Day roster more than likely will include just two catchers, so having someone around that could catch in an emergency situation would be a good insurance policy. “We sat out to increase Hannahan’s value and this is an added bonus,” Wakamatsu said. Hannahan figures the more positions he can play the better his chances are of being on the 25-man Opening Day roster. His primary positions are third base and first base, but he has played a little second and even played one game at shortstop last season. He will get considerable practice time at SS this spring, which is the primary reason he lost 18 pounds during the off-season. In other news this morning, manager Don Wakamatsu celebrates his 47th birthday today, one of two birthday boys on the team. First baseman Casey Kotchman is 27. I wonder if Ken Griffey Jr. knows that today is Wak’s birthday. If not, I’ll be sure to tell him and Junior surely would come up with something to “celebrate” the occasion. Hard to believe but, yes, it is cloudy and moist again today. Ichiro and Milton Bradley are expected to show up today for their physicals. The last time Ichiro was in a Mariners uniform, he was being carried off the field at Safeco Field on Carlos Silva’s shoulders. The last time Bradley was seen in a Cubs uniform…well, never mind. Speak of the devil, Bradley just drove into the player’s parking lot — at 9:15 a.m. Ichiro is supposed to arrive in mid-afternoon, but might not have his first press conference until tomorrow.